Lily's Ink Pad: Newest Digital Downloads and Petite Curly Punch Available! Newest Digital Downloads and Petite Curly Punch Available! First of all, it's Tuesday, so Stampin' Up! released a new set of downloads for MDS. You can download these kits and embellishments for use in any program, on either Mac or PC, and for use in MDS. You can also download a free trial of MDS or upgrade your MDS for Free! Check out the Store at my www.lilyinkpad.stampinup.net website. 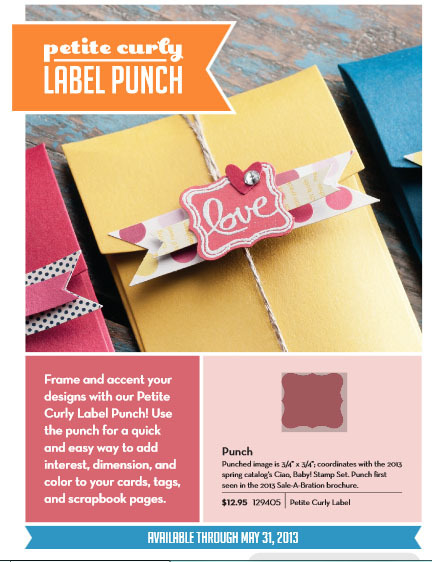 You can purchase the Petite Curly Label Punch for $12.95! Whoop Whoop!